School Education Department Government of Punjab has announced Punjab educators jobs 2018 and submit the file in education offices before 21-01-2018. In this recruitment, it is necessary for candidates to submit an NTS deposit slip with an application form. So it is easy to know that how to get NTS deposit slip for Punjab educators jobs 2018 and attach this deposit slip with the application form of educators jobs 2018. I have told you about this deposit slip incomplete video of YouTube. It is easy to get NTS deposit slip even you forget NTS password. Please read here a complete method and watch YouTube video for more help. First of all, you will go to NTS official website nts.org.pk. You will close the pop-up window and click on all results. You will search Government of the Punjab School Education Department (Screening Test) now it is on page 2. You will click on "click here for result"
A new window will appear to enter roll no. or CNIC. After entering roll no. or CNIC clicks on the search button, a new window will appear and on that window, you will click on "Click Here" on the right side of web page. Now, the address bar will show link http://psed.nts.org.pk/PSED_2017_Result/login.php?id=MTUyNDAwMDM2NA==. Only change login.php to deposit_slip.php in this above address and press enter. This was final step to learn How to get NTS deposit slip. 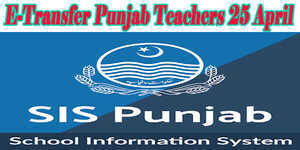 NTS Test declaration Post Wise for Educators Punjab is available. In this proclamation, it is said that candidate strictly outlawed to bring a movable phone and any test correlated thing which help those candidates through Test. Admit card for successful candidates have been dispatched and they will receive these days. For other detail, candidates can visit NTS site or PMIU site. Those candidates whose name are not on the list they can contact on NTS helpline for further detail. Certificate to be submitted by the candidates who are in Government or Semi Government service with the application forms duly completed failing which the application shall be liable to rejection. He holds this post in permanent, temporary, adhoc capacity on contract basis. There is nothing on testimony of this Department which may deliver his unable for the post and that his proof of repair is acceptable and no departmental measures are pending next to the candidate. A government of the Punjab School Education Department has announced jobs for Educators till 21 January 2018 for submitting files in the district Education offices. 1. Program Director, PM1U, Punjab, Lahore. 2. Program Director, QAED, Punjab, Lahore 3. All the Deputy Commissioners in Punjab. 4. All the Chief Executive Officers (Edu), in Punjab. 1) All the Chairmen of Complaint Red I Cell, in Punjab. 2) All the Divisional Commissioners, in Punjab. 3) Director Public Instruction (SEJEE), Punjab, Lahore. 1. PS to Minister for Education Punjab, Lahore. 2. PS to Secretary School Education Department.